Later Roman helms gradually moved towards simplicity and rugged effectiveness, rather than impressive displays of power. Take this Roman Cavalry Helmet, for instance, which features very little in the way of ornamentation and focuses on pure defense. 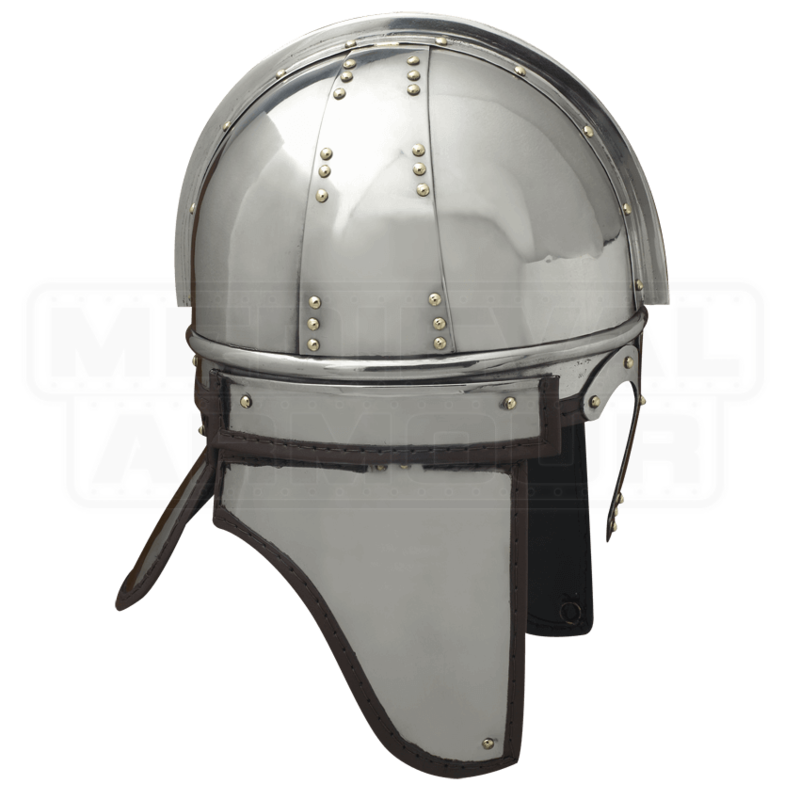 This helmet is relatively simple in its design, featuring a rounded skullcap that is quite effective at deflecting blows, which has also been reinforced with a ridge down the helmets centerline. Rivets add additional strength to the helm, while the front features a nose-guard that extends down, while the sides also feature flaps that protect the sides of the wearers face. A short flap in the back protects the wearers neck, while still allowing the wearer to turn their head sharply around if need-be. 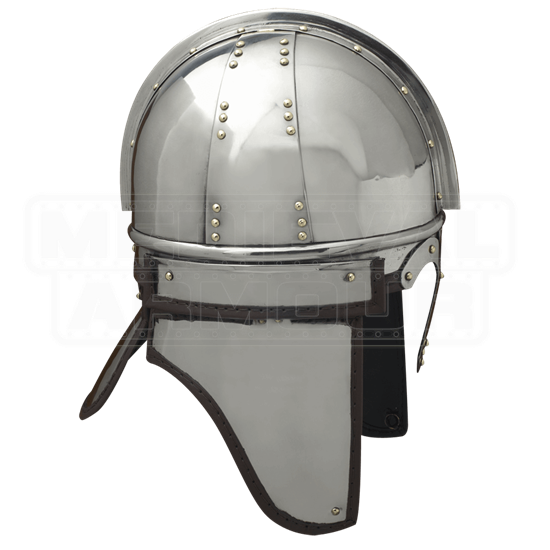 This helmet is made from quality metals and features a simple polished metal finish that gives the helm a particularly nice look. Ideal for horseman of all eras, this Roman Cavalry Helmet is a great piece for reenactors to wear any time they take to the field, as well as a great piece for collectors to acquire and display in their private collection.